Cooking with fresh herbs is such an easy way to take your dishes to the next level. If you live in a climate that isn’t suited for year round outdoor gardening, no worries! 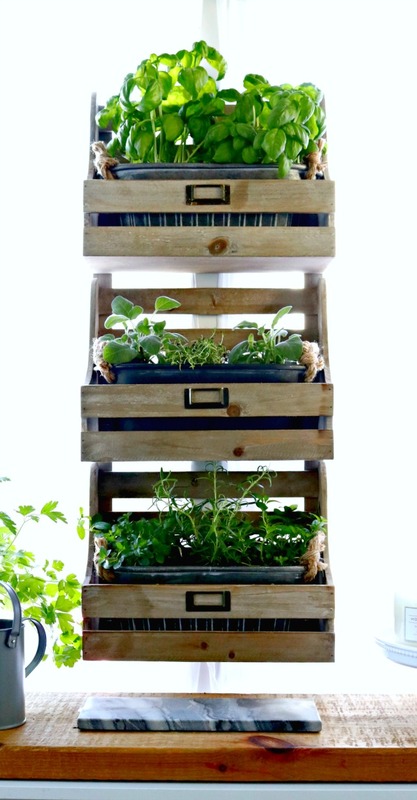 You can easily plant a kitchen herb garden right in your kitchen or any space where natural sunlight is available. There’s just nothing like snipping fresh herbs to add to your favorite recipes and cocktails! This post is sponsored by Miracle-Gro and Bonnie Plants. 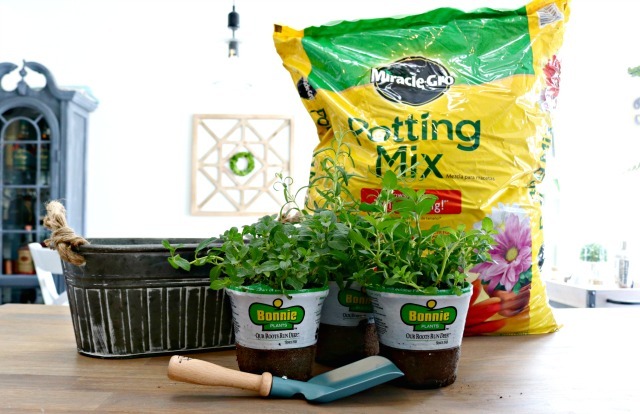 To bring you this easy DIY, I partnered with Scotts Miracle-Gro and Bonnie Plants. All photos, ideas and opinions are 100% mine. I had a few tin tubs that had been used to hold hand towels and lotions in our bathrooms, so I grabbed them to plant my herbs in. 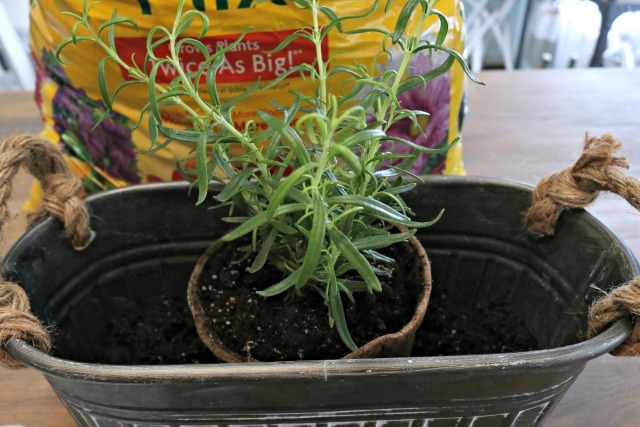 I used these amazing herbs from Bonnie Plants, and my favorite Miracle-Gro Potting Mix. The herbs weren’t stocked in my local Walmart Garden Center yet, so I jumped on Walmart.com and ordered them. You can have them shipped to you or pick up for free in store! 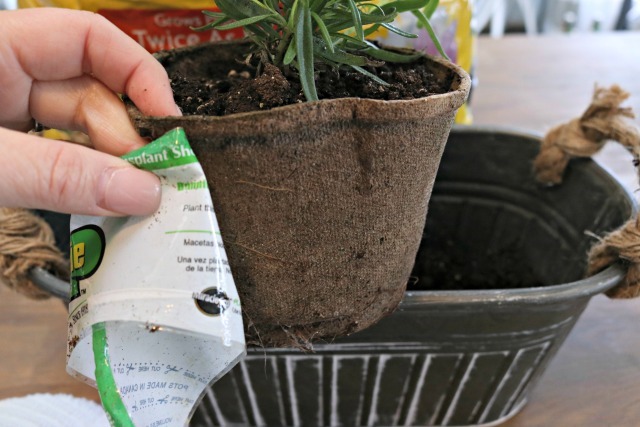 One of the things that I have always loved about Miracle-Gro is that you don’t have to worry about adding special fertilizer to your plants after planting…the potting soil has everything needed to help your plants grow and thrive with very little effort on your part! They’ve been making Miracle-Gro in America for over 150 years, and are a brand that I really trust. I mean, Miracle-Gro actually helps grow plants 2-3 times larger…and they’ve proven it! 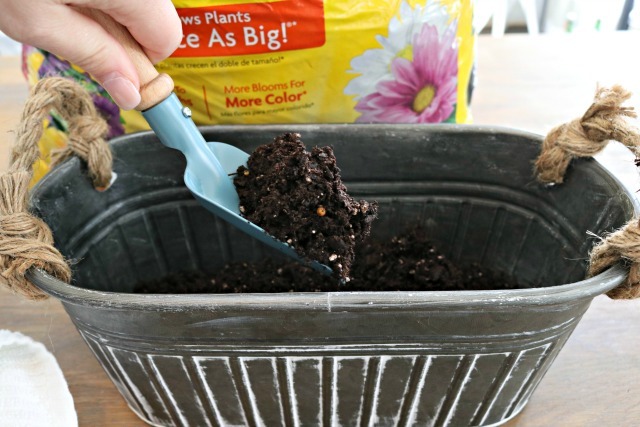 It’s definitely my go to potting soil! 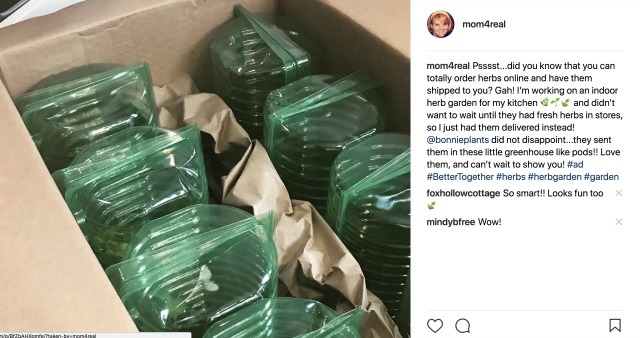 This is how they came in the mail…packed in the most delightful little greenhouse like pods! I saved them for some seed planting later on in the spring! I love that Bonnie Plants makes sure that their plants are shipped with great care, so when they arrive at your home, they aren’t smushed, broken or dried out. My plants were in perfect condition when they arrived at my front door! To get started with planting my herb garden, I filled my pots with about 3 inches of potting soil. I left plenty of room for the plants to fit in the pot. Next, I removed the plastic wrappers from the peat pots and discarded them. 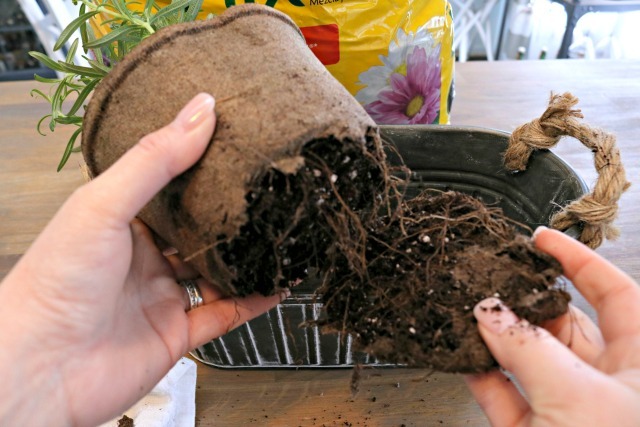 Before planting the biodegradable pots, I removed the bottoms of them to expose the roots of the herbs. 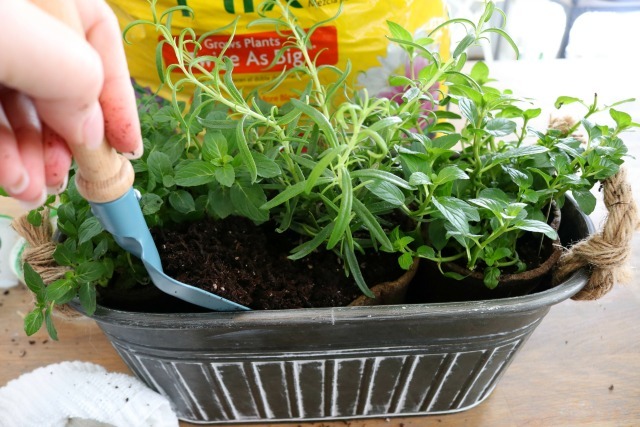 This will help them absorb water and all of the nutrients in the Miracle-Gro potting soil. Next, I placed my rosemary plant in the middle. I liked having the taller herb in the middle. Then, I planted two mint plants on either side of the rosemary. I wish you could smell these! The rosemary and mint smells together remind me of a fancy spa! To finish off the planting, I filled the pot in with potting soil around the plants, making sure to let it fall down in between the plants and cover the tops of the peat pots. Once the planting was finished, I gave them a good soaking with water. I always soak plants really well when I first plant them, but for future waterings, I like to wait until the soil is beginning to dry before watering so I don’t drown the roots. I found this cute, rustic office shelf that my tin tubs would fit in, and hung it up right between my two breakfast nook windows. It gets the perfect amount of indirect sunlight during the day, and I love how it looks! 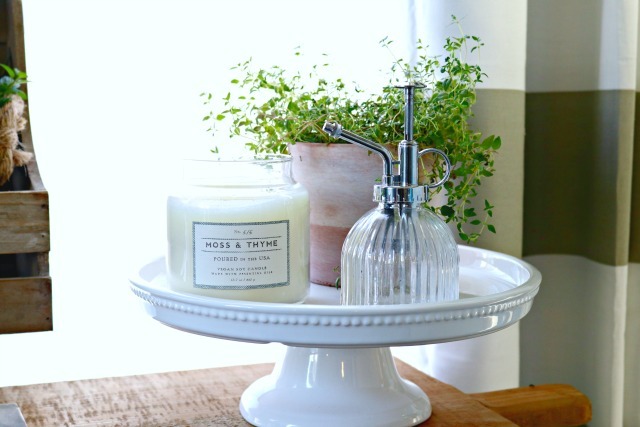 I also planted some thyme in a small pot and placed it on a cake plate with a spritzer and one of my favorite candles. I added some parsley to an old vase that I had and placed it on the other side fo the planter, then added a small watering can to remind me to water my herbs, and it’s super cute too! 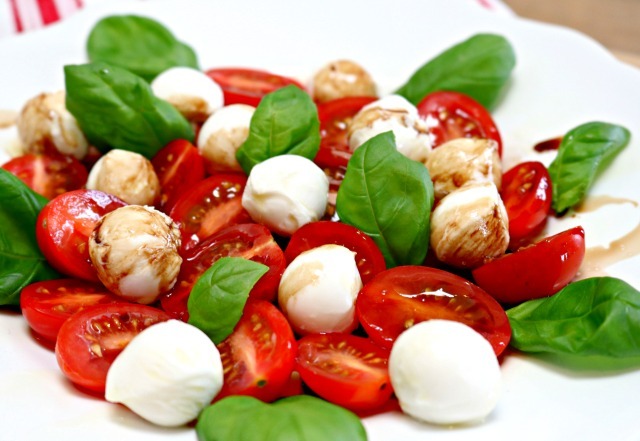 We’ve been snipping basil constantly for caprese salads, pizzas, pesto and so much more! 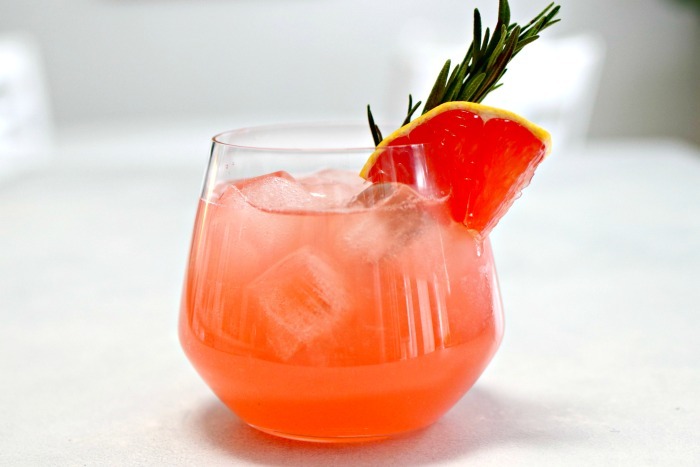 And…I’ve loved having fresh rosemary, mint and thyme to add to cocktails to give them an extra luxurious kick! Whether you are an avid gardener or you’ve never planted anything in your life, this is the perfect project for you! Miracle-Gro and Bonnie Plants make it so easy! 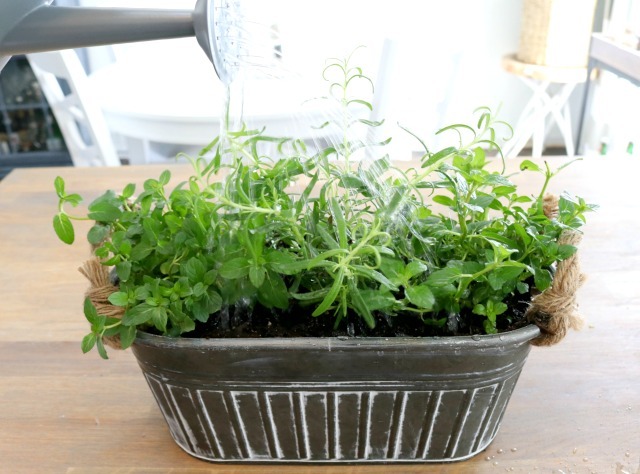 You don’t have to spend money on special pots either…get creative! You can use old tea cups or coffee mugs, pretty bowls, tin tubs, or whatever you have around your home! You can find Miracle-Gro and Bonnie Plants in store in the Walmart Garden Center and online at Walmart.com. So, what are you waiting for? 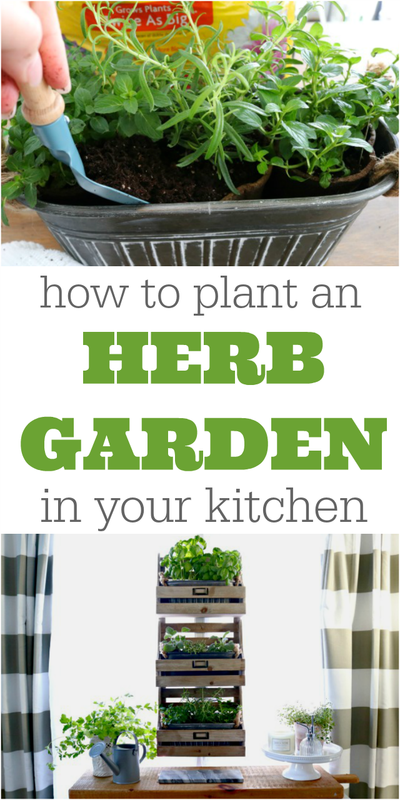 Get out there and plant your own kitchen herb garden already! Does the herb garden survive beyond “herb” season? 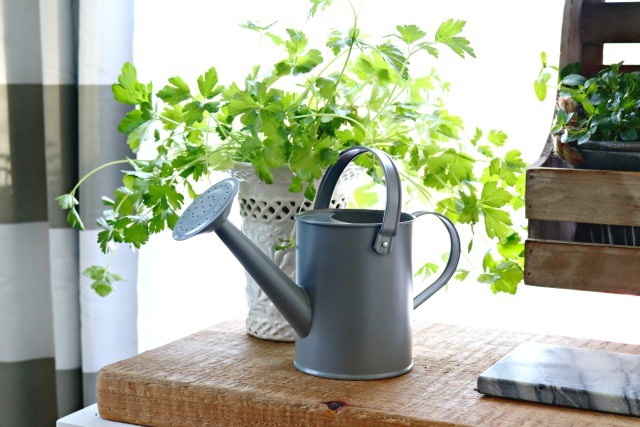 Meaning is this something that you could order the plants for somewhere and do in the winter or early spring while you are waiting to plant your herb garden outside? Will the plants survive out of season? thank you – super cute and I love to cook with fresh herbs and add them to even a tossed salad to really make it taste amazing – parsley, basil, chives…. It does! My mom keeps an indoor herb garden all year round in her kitchen window. 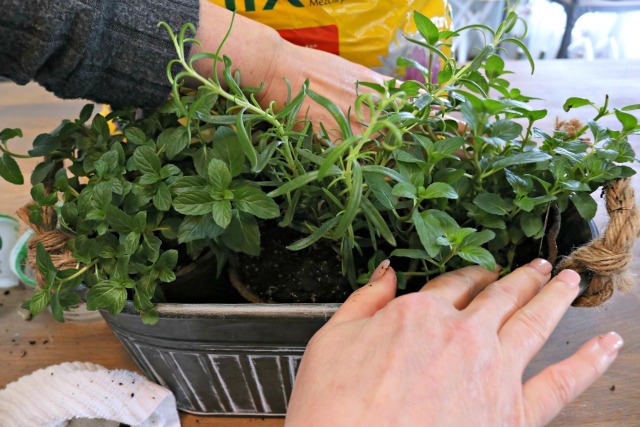 You can replant the herbs outside when there is no threat of freezing, but it isn’t necessary. I love cooking with fresh herbs…it just makes everything taste so much more fresh, doesn’t it? Thanks so much, Danielle! Love your ideas! I just started this winter by planting what remained from the basil and parsley I get from grocer. They come with a root ball – so I figured why not? Parsley is out of control, basil, meh. But I’ll keep trying, maybe once I figure out how to keep them thriving, I’ll try a cuter display. I also got a primrose as a gift at Thanksgiving, which to my surprise is doing very well, I put it outside when it gets warmer. Thank you, Mary Ellen! The trick with basil is to not over water it, and clip it often. The more you clip it, the more it grows. I love primrose!